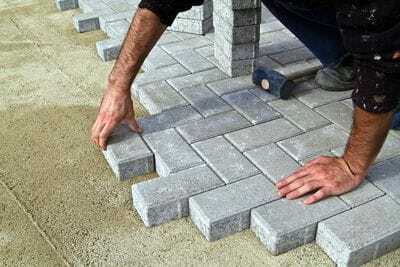 Are you searching for a landscaping contractor for your home or business in or nearby Canberra? If so, you'll need to make sure to find a reputable, high-quality business to carry out the job. Unfortunately, there are many landscaping businesses across Australia that do subpar work. In extreme cases, contractors may cause damage to property, create an inappropriate design that results in dead plants, leave behind an unfinished mess, or worse. A few minutes of diligent research can help you to avoid these unpleasant experiences. The best way to find a qualified, reputable landscape contractor for your home or commercial projects is to search the LNA member database to find local businesses. The LNA is the Landscape Assocation of NSW and ACT, the trade group for this region, and ensures that member businesses meet criteria for ethics in operation, quality, and environmental and worksite safety. We recommend approaching three different member businesses for quotes, then choosing the one that suits your needs. If any problems arise, LNA offers mediation services. Hiring an LNA member can help avoid problematic, costly mistakes. The trade group has a history of providing quality service since 1979, and is nationally recognized for excellence in the industry. Customers and member businesses both benefit when LNA-registered contractors are hired to work on your landscape project in Canberra. To browse the database of LNA members for contractors who work in Canberra, visit our search page today.